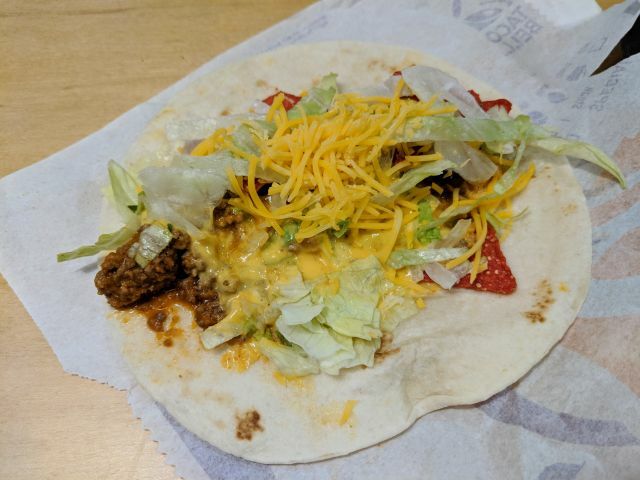 Taco Bell's Loaded Nacho Taco features a soft flour tortilla filled with seasoned beef, nacho cheese sauce, lettuce, shredded cheddar cheese, and new Southwest Seasoned Chips. 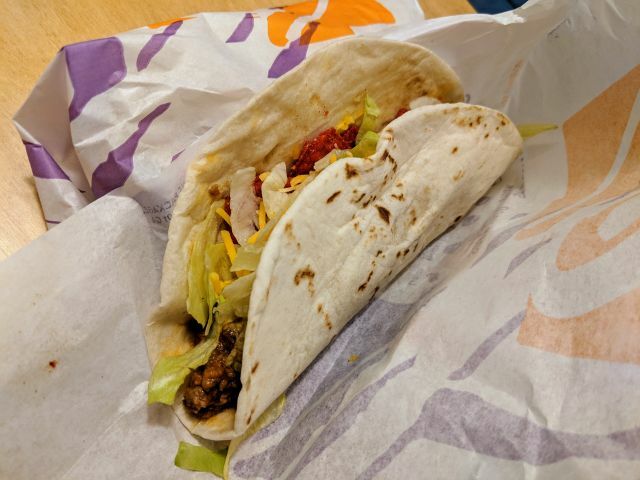 It carries a suggested price of $1 each but cost me $1.39 at my local Taco Bell (which isn't really a good value considering a crunchy taco at the same location is $1.49). 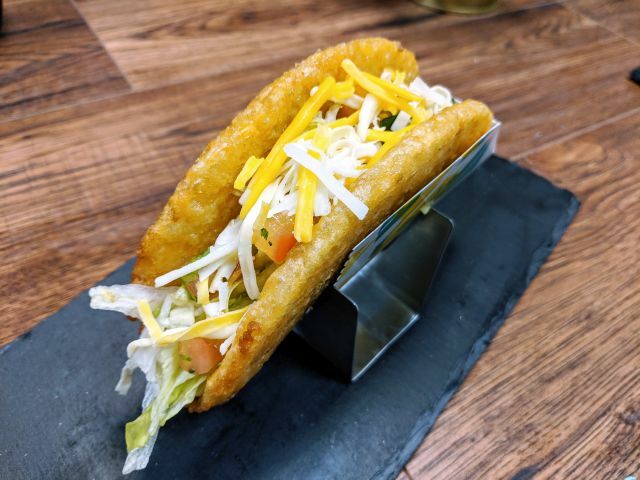 For the most part, the Loaded Nacho Taco treads very familiar territory as it's mostly the same as Taco Bell's regular taco. You get the same combination of beef, cheese and lettuce but with an extra hit of oozy, creamy nacho cheese. The big difference maker in the Loaded Nacho Taco is the new Southwest Seasoned Chips. They're red and triangular rather than the red strips the chain has gone with in the past. They provide a decent crunch and an enjoyable flavor that reminds me of the seasoning on Doritos Nacho Cheese chips minus the cheese. 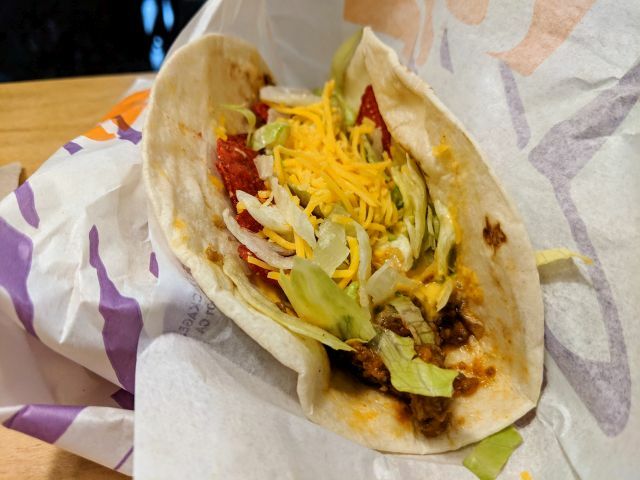 Taken altogether, Taco Bell's Loaded Nacho Taco manages to add an interesting-enough twist to their signature soft taco that's good for an extra depth of seasoned flavor and crunch in most bites.